Mangifera, Mangifera indica, Mangifera indica L.
including fish, meats, vegetables and curries. 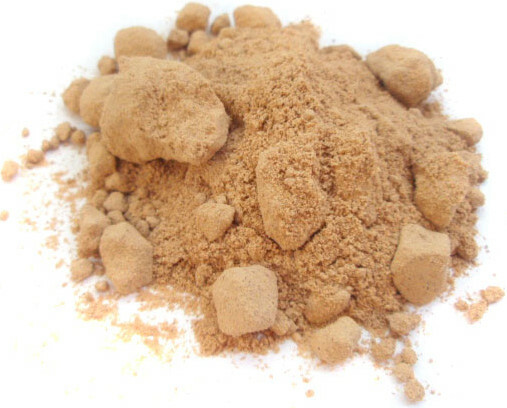 Amchur powder is finely ground, beige in color with a warm, sour-sweet, slightly earthy fragrance and a spicy sweet, tart, tangy fruit flavor. Traditional amchur is made by peeling unripe mango fruits and slicing them into thin pieces. The pieces are then sprinkled with turmeric and laid in the sun to dry, though not all amchur is prepared with turmeric. Amchur (amchoor) powder, known as "mango" powder; is produced by grinding the dried mango into a fine powder. It preserves the acidic, tart, and slightly spicy flavor of unripe mangos for use in many Indian dishes including fish, meats, vegetables and curries. Amchur is also available in whole form - The dried green mango slices are light brown with a rough surface. Ripe mango slices can also be dried and will have more of an orange-brown color while imparting a somewhat sweeter, fruitier flavor. Both the whole and ground varieties can be used in limitless ways to provide an authentic flavor to many Indian dishes. A word of caution; the pungent spice goes a long way, so cooks should remember to use Amchur in moderation. Tamarind paste, Lime juice Pomegranate Powder, Pomegranate Seeds, Lemon Peel Powder, Pumpkin Powder, Hibiscus Powder and Sumac Ground. Once the spice was rarely used outside of Indian cooking but, Amchur has grown in popularity as an addition to vegetarian dishes both in the whole or powdered forms for its tart, sharp spiciness. Other popular uses include stir fry, chutney, meat tenderizing, souring or pickling agent, marinades, and as a condiment. Ripe and unripe mangos are used fresh or preserved, with condiments such as mango pickle being very popular, especially in India. Amchur powder acts as a souring agent much like tamarind and is particularly useful as an ingredient in marinades, having the same tenderizing qualities as lemon or lime juice. Again, a little goes a long way; a single teaspoon of Amchur powder is equal to three tablespoons of lemon or lime juice. Food spoilage has plagued humans since ancient times. 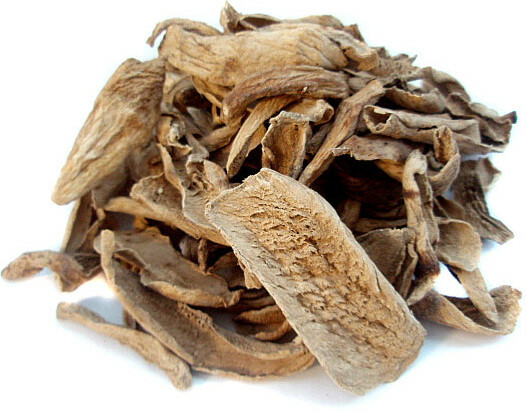 Used mainly for flavor and aroma, it is recognized that Amchur can prolong the storage life of food by preventing rancidity through its bacteriostatic or bactericidal activity. Being natural foodstuff, it will appeal to consumers who tend to question the safety of synthetic food additives. Amchur is derived from the mango (Mangifera indica) and Mangoes are one of the most popular fruits in the world; representing over half of global tropical fruit production while holding the title of national fruit for Pakistan, The Philippines and India. In India, the mango is the most important fruit crop and known as king of fruits due to the delicious fruit as well as being rich in vitamins and minerals. Both Hindus and Buddhists revere the mango tree for its supposed wish granting abilities. Legend has it that Buddha rested peacefully in a mango grove. Native to southern Asia, especially eastern India, Burma, and the Andaman Islands, the mango has been cultivated, praised and even revered in its homeland since Ancient times. The species appears to have been domesticated about 4,000 years ago. Buddhist monks are believed to have taken the mango on voyages to Malaya and eastern Asia in the 4th and 5th Centuries B.C. The Persians are said to have carried it to East Africa about the 10th Century A.D. It was commonly grown in the East Indies before the earliest visits of the Portuguese who apparently introduced it to West Africa early in the 16th Century and also into Brazil. After becoming established in Brazil, the mango was carried to the West Indies, being first planted in Barbados about 1742 and later in the Dominican Republic. It reached Jamaica about 1782 and, early in the 19th Century, reached Mexico from the Philippines and the West Indies. Today, varieties are readily grown throughout the Caribbean, Florida, and California. The unripe fruit is acidic, astringent and antiscorbutic, and in the dried condition, amchur is particularly useful for the latter. The mango tree is valued in India for its many uses. Both ripe and unripe mangos have medicinal properties. Amchur most notably has a high citric acid content that is integral to the prevention of scurvy. "Supply a rich source of vitamin A (beta-carotene), E and Selenium which help to protect against heart disease and other ailments. High concentrations of phenols, phenolic compound have powerful antioxidant and anticancer abilities. The Mango is high in iron, and people with anemia are advised to take mango in form of powder or fruit regularly. Mangoes are high in antioxidants and low in carbohydrates. Mango is effective in relieving clogged pores of the skin. It is also valuable to combat acidity and poor digestion. The roots and bark of mango Mangifera indica (Anacardiaceae) are astringent, acrid, anti-inflammatory, and constipating. The leaves and flowers are refrigerant, styptic, and vulnerary. The antibacterial activity of amchur (dried pulp of unripe Mangifera indica) extract (50% ethanol) was tested against ten bacterial strains causing dental plaque by agar well diffusion method. The crude extract showed a broad spectrum of antibacterial activity inhibiting both the groups of Gram-positive & Gram-negative bacteria. The extract was most effective against Bacillus sp., followed by Staphylococcus mutans and Pseudomonas sp., whereas Halobacterium sp. was found to be the most resistant. Chlorhexidine (present in mouthwashes to prevent infection of dental caries) was used as a positive control. Natural extract of amchur was found to be more effective as compared to chlorhexidine. This study shows the potential of amchur in the treatment of dental caries. Mangoes provide Mangiferin (a pharmacologically active flavonoid, a natural xanthone), that has a number of pharmacological actions and possible health benefits. These include antidiabetic, antioxidant, antifungal, antimicrobal, antiinflamatory, antiviral, hepatoprotective, hypoglycemic, anti-allergic and anticancer activity. Mangifera is a genus of flowering plants in the cashew family, Anacardiaceae. It contains approximately 69 species, with the most well-known being the Common Mango (Mangifera indica). This species of mango is found in the wild in India and over time, cultivated varieties have been introduced to other warm regions throughout the globe. It is the largest fruit-tree in the world, capable of a height of one-hundred feet and an average circumference of twelve to fourteen feet, sometimes reaching twenty feet. When well cared for, the trees will live and produce fruit for decades. The culinary traditions of many nations include mango in a variety of forms as a result of the ready availability of the ingredient. It is no wonder that: both Hindus and Buddhists revere the mango tree for its supposed wish granting abilities... maybe, just maybe, it does.